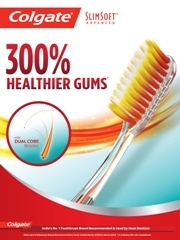 Capable of reducing plaque scores by 20-50%. Overall plaque reduction by 70-90% and exhibit slow release properties. Exhibit better retentive properties over second generation agents. 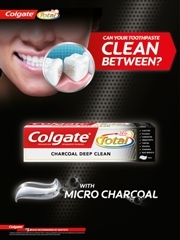 Triclosan and Chlorhexidine has been widely used in recent mouthwashes. 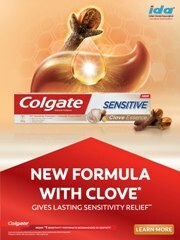 Triclosan delays plaque maturation and inhibits formation of prostaglandin leukotrines which is a key controller of inflammation. Chlorhexidine acts against plaque and bacteria. Prevents pellicle formation by blocking acidic groups on salivary glycoproteins and reducing glycoprotein adsorption on tooth surface. 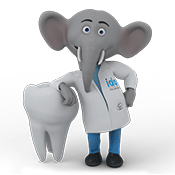 Prevents adsorption of bacterial cell wall on tooth surface. By binding to the bacteria. Prevents binding of mature plaque by precipitating agglutination factors in the saliva and displacing calcium from the plaque matrix. Anti-bacterial mouthwashes- It has an ability to kill bacteria and plays a part in helping to minimize the total number of anaerobic bacteria that are present in oral cavity. Since these bacteria are the source of the volatile sulfur compounds that cause bad breath, the fewer of them that are present in a person's mouth the better. Mouthwashes that neutralize volatile sulfur compounds- The ingredients found have the capability to neutralize volatile sulfur compounds (VSC's) and/or the compounds from which they are formed. Since volatile sulfur compounds are the malodorous substances that actually cause bad breath, if a mouthwash decreases the concentration of these compounds, then the more pleasant that person's breath will be. Antibacterial and neutralizes volatile sulfur compounds. Chlorine dioxide is an oxidizing agent (this means that it releases oxygen). Because most of the bacteria that cause bad breath are anaerobic (meaning, they prefer to live in environments devoid of oxygen), exposing them to an oxidizing agent can help to minimize their numbers. Chlorine dioxide has the ability to neutralize volatile sulfur compounds. It also has the ability to degrade the precursor components utilized by bacteria use when making VSC's. The net effect is that the overall concentration of volatile sulfur compounds found in a person's breath is reduced and as a result their breath will be more pleasant. Research has suggested that mouthwash products that contain zinc ions can reduce the concentration of volatile sulfur compounds found in a person's breath. This action is presumed to be related to the fact that the zinc ions bind to the precursor compounds that anaerobic bacteria require to produce volatile sulfur compounds. "Antiseptic" mouthwash has been suggested as suitable product for the treatment of bad breath. The effectiveness of this type of rinse is related to its ability to kill the anaerobic oral bacteria that produce volatile sulfur compounds. Antiseptic mouthwash has not been shown to have a neutralizing effect directly on the volatile sulfur compounds themselves. Rinses that control tartar (the hard, crusted calcium deposits that form on teeth. Cosmetic rinses are commercial over-the-counter (OTC) products that help remove oral debris before or after brushing, temporarily suppress bad breath, diminish bacteria in the mouth and refresh the mouth with a pleasant taste. First generation antiplaque agents- Antibiotics, phenols. Second generation antiplaque agents- Bisbiguanides (chlorhexidine). Third generation antiplaque agents- Delmopinol. 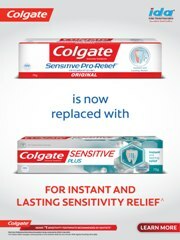 Use once a day after brushing teeth with a toothpaste. Pour the contents of the mouth rinse as prescribed on the bottle. Vigorously swish 10 milliliters of mouthwash between the teeth for 1 minute and then spit out. Instruct children under 12 years of age(to minimize swallowing). 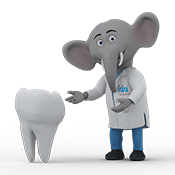 If a child is under 6 years; use after consulting a dentist or doctor. If safety seal is broken or missing.